Depending on the setup of your cluster, you will need to take different steps to allow ironSource atom to connect. 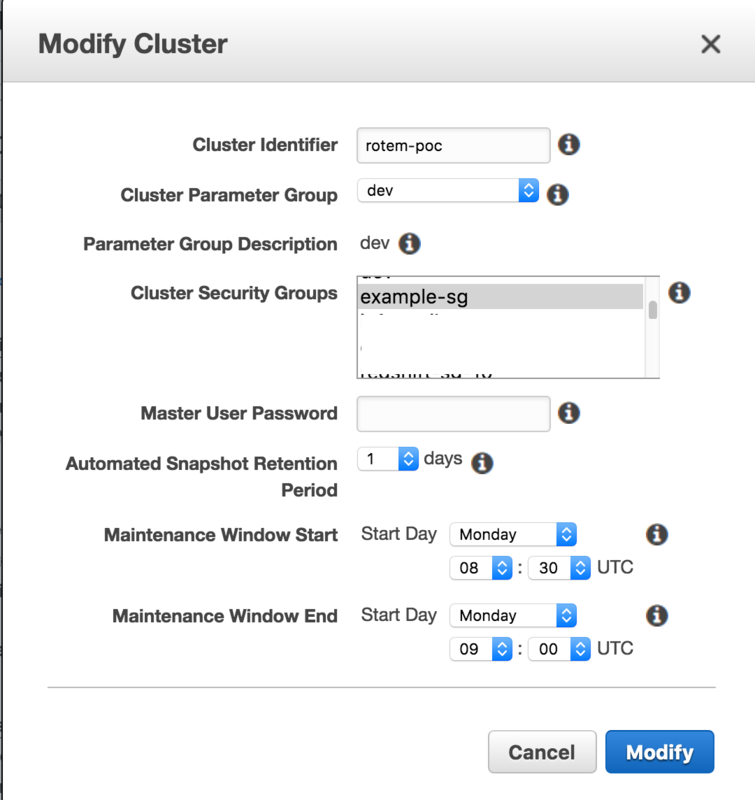 Create an EC2 security group in your VPC and add the IPs. That’s it! The IPs are open and we are ready to go. 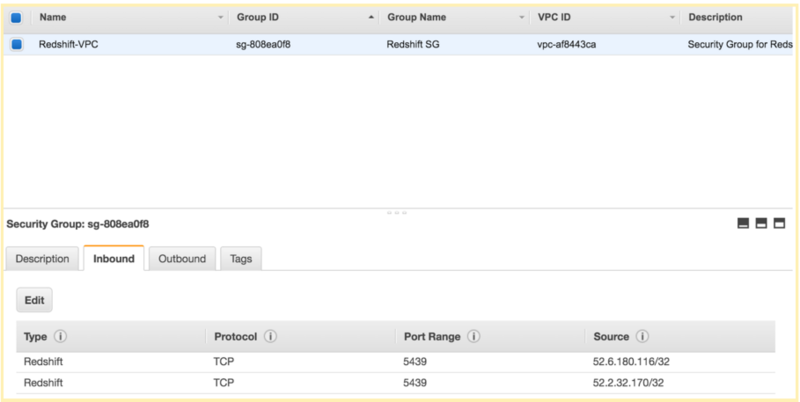 If your Redshift cluster isn’t in a VPC you have to take different steps to open connectivity for ironSource atom. 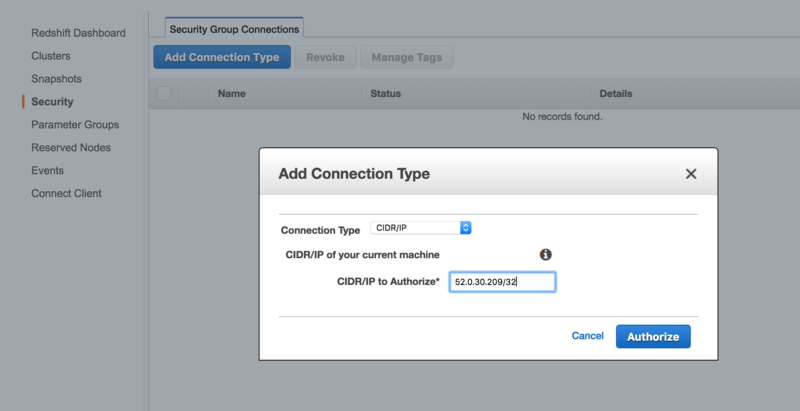 Choose CIDR/IP as a connection type and enter “52.0.30.209/32” as the IP to authorize. 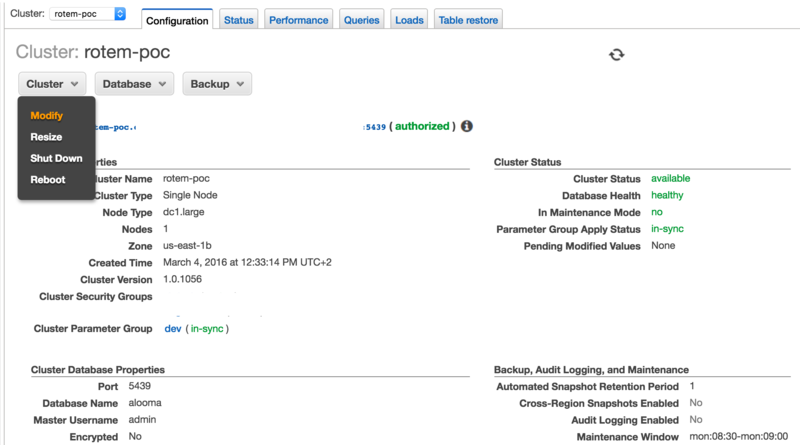 From the list of available clusters, find your cluster and click it. In the cluster detailed view, click the “Cluster” button, and choose “Modify” from the dropdown. 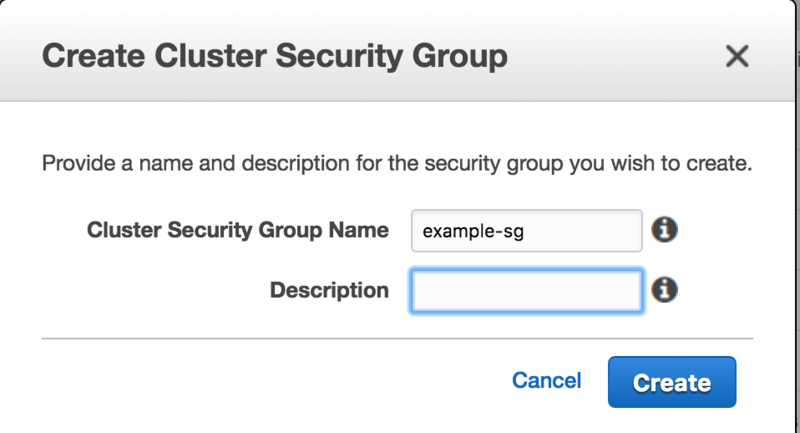 In the “Modify Cluster” modal window, add your security group to the cluster by using (CTRL+click/CMD+click) on the security group’s name in the “Cluster Security Groups” field.